Nintendo's "non-wearable" sleep tracker launches Nintendo's quality of life product line. Nintendo has been open in the past year about its desire to move into other types of technology besides video games. In January the company talked about diversifying by making “quality of life” products. No one heard anything else about that, though, until now. On Wednesday, Nintendo CEO and president Satoru Iwata spoke with investors about a device the company is working on that uses radio waves to track sleep. These days it’s so common to hear about new fitness trackers or home sensors that the plan sounds, well, normal. 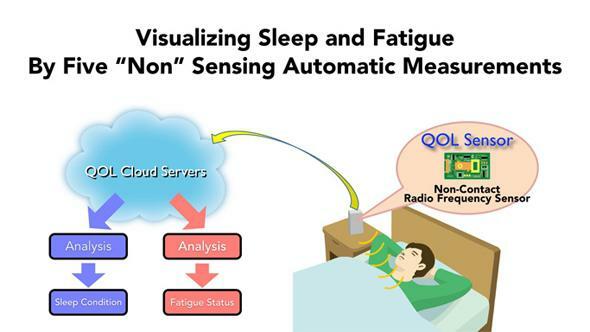 Nintendo is working with health tracking company Resmed, which already makes devices for monitoring sleep. Data will go into Nintendo’s Quality of Life cloud, and users will be able to view and track it. Plus, Nintendo gaming products will interface with the Quality of Life platform. The company has also already gained experience with quantified self-devices through manufacturing the popular Wii Fit and failed Wii Vitality Sensor. Iwata said Quality of Life will launch in 2016. One interesting aspect of Quality of Life is that Nintendo seems to be defining the service against what the company doesn’t like about other products on the market. Which seems like a great idea since there’s so much junk out there. A “non” slide in the presentation talks about everything that the product is not. Non-wearable, non-contact, non-operating, non-waiting, non-installation efforts. It seems like there might be a little bit of a translation issue from Japanese going on here, because Nintendo presumably wants its devices to be operational. The “non” campaign is definitely present in the Japanese version of the presentation, though. Hopefully Nintendo knows that “non-wearables” already exist. They’re called the smart home movement.